Once you have made an enquiry we will attempt to furnish you with a quote within 48 hours. A quote is an indication of price and availability but we cannot guarantee availability or prices until the booking is confirmed and you have paid a deposit. Once we make a booking on your behalf, you have two weeks in which to pay a deposit. This deposit is non-refundable and the deposit amount will vary depending on the deposit requirements of your chosen golf club(s) and accommodation provider(s). Once we receive your deposit we will send you a deposit confirmation which will outline the amount of your final balance payment and when it is due. The balance of the price of your break must be paid no later than one calendar month in advance of the date your golf break is scheduled to start. Bookings made less than one calendar month in advance of the scheduled arrival date must be paid in full at the time of booking. If the deposit, balance or final balance is not paid by the balance due date, we reserve the right to cancel your booking and retain your deposit paid. We accept all major credit and debit cards with the exception of Diner’s Club and American Express. Cheques made payable to ‘England’s Golf Coast Limited’ or BACS transfers are also acceptable methods of payment. If, once the booking confirmation has been issued, you wish to change the numbers of persons in your group booking, transfer your break to another person, or cancel your break, the person who originally booked the break (the lead name) must notify us in writing by email or post. If you cancel your break or reduce the number of people in your group before the balance due date, we have the right to retain the deposit paid by each person cancelling as a cancellation fee. If you cancel or reduce the number of people in your group after the balance due date, we may charge a cancellation fee. This fee can be up to the full amount of the golf break and is very much dependant on the cancellation costs we incur from our golf clubs and accommodation providers. In this scenario, we will be entitled to retain the cancellation amount from the balance paid and will refund you the difference (if any). We can provide, upon request, the cancellation policy for each of your chosen golf clubs and accommodations at the time of booking. All amendments are subject to availability. While we will do our upmost to make any requested changes this may not always be possible. Amending the size of your party may occasionally have an effect on the total price payable. This will usually be, but not limited to, losing eligibility for 4-ball discount rates or single supplements becoming applicable for accommodation. Occasionally we need to make changes and correct errors in bookings that have been made. While this is a very rare occurrence, we must reserve the right to do so. Except in cases of ‘Force Majeure’ (see section 8) we will not cancel or amend your booking once the final balance has been paid. 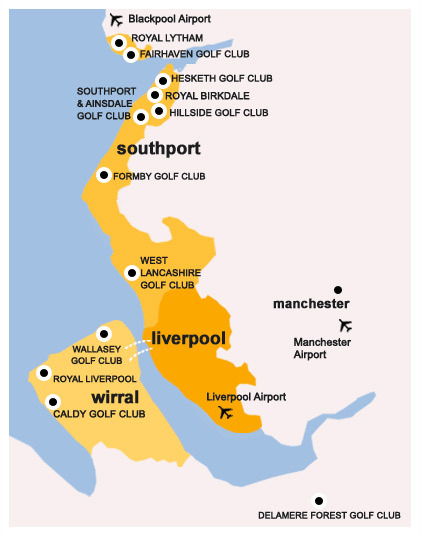 If you have a complaint or experience any problems during your break please inform the accommodation provider or golf club concerned as soon as possible. 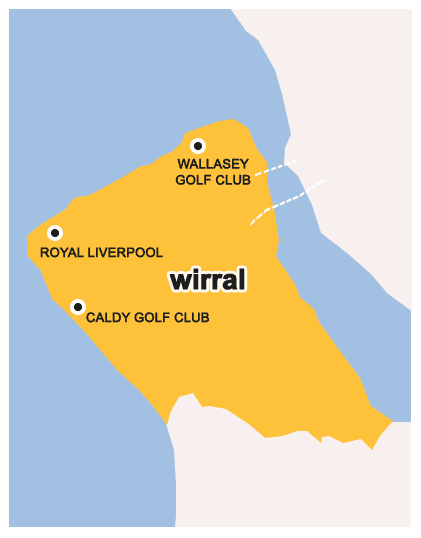 If the matter cannot be resolved locally then please contact England’s Golf Coast at your earliest convenience and we will investigate your complaint. If you or any member of your party has any medical problem or disability that may require assistance, please tell us before you book or if diagnosed after you confirm your booking as soon as possible after you become aware. If the supplier in question reasonably feels unable to properly accommodate the particular needs of the person concerned, we must reserve the right to decline your booking or, if full details are not given at the time of booking, cancel when we become aware of these details. Although every effort will be made to accommodate changes to itineraries when required, we cannot be held liable for any transportation delays or cancellations you suffer when travelling to, during and from your golf break. In these booking conditions, "force majeure" means any event which we or the supplier could not, even with all due care, foresee or forestall. Such events may include, without limitation, war or threat of war, riot, civil strife, actual or threatened terrorist activity, industrial dispute, natural or nuclear disaster, adverse weather conditions, fire, epidemics and pandemics and all similar events outside our or our suppliers’ control. Due to the coastal nature of our courses, it is very rare to encounter temporary greens and tees. However, due to the time of year that we offer golf breaks and the British climate, there will always be a risk, however small. 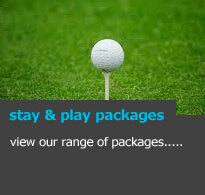 Therefore, golf played on temporary greens and tees is non-refundable. If you are unable to play golf during your break due to course closure we will endeavour to obtain a full / partial refund or green fee vouchers for the golf element of the break. We cannot guarantee the outcome; this is very much at the discretion of the individual golf clubs. It is worth noting that our package rates are discounted so therefore any refund or voucher provided in compensation will not necessarily match the standard green fee for the time of year and may be considerably less than the full summer green fee. 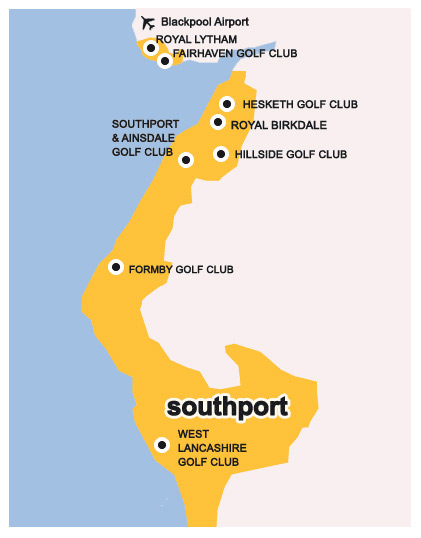 Each of our golf clubs have their own inclement weather policy so all decisions regarding full or partial refunds rest with the individual golf clubs themselves and, not with England’s Golf Coast. Each of our golf clubs has their own dress code. These must be adheres to at all times. Dress requirements for your chosen club(s) can be provided upon request.